Following a summer of festival appearances, Yorkshire-born-and-bred 5-piece Allusondrugs have unveiled the trippy video for brand new song ‘Sunset Yellow’. The track is available to purchase immediately on Spotify, Apple Music, Deezer et al via their own label Allusinlove Records. Alongside the news, the band are also proud to announce a partnership with the excellent folks at Too Pure to bestow upon the universe a double-A-side 7” single in September. This attractive slab of purple vinyl contains the tracks ‘Magic College’ and ‘Her Crown’ which were recorded in the band’s hometown of Castleford, Yorkshire in June of this year. 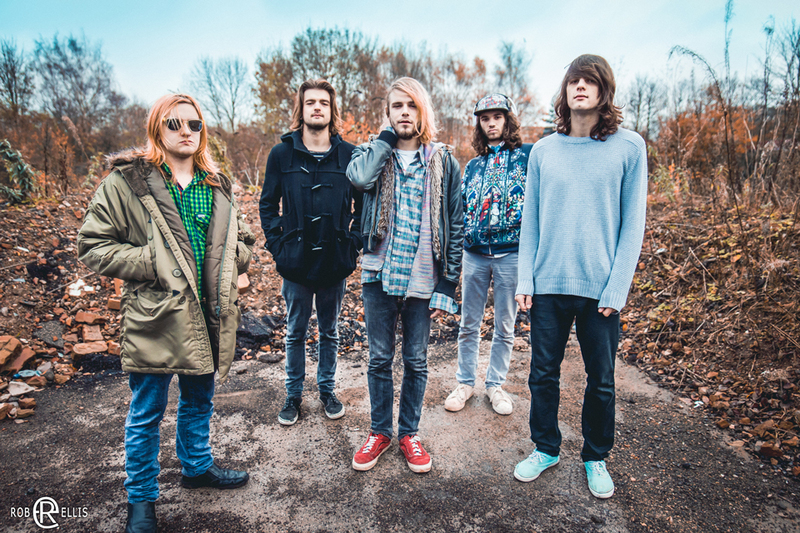 On the live front, the band can reveal they will head out in October 2015 for a short co-headline run with fellow Yorkshiremen Brawlers and currently working on headline UK live dates for autumn / winter 2015, which will appear shortly over at http://www.allusondrugs.com. Dates for the October shows can be found below, tickets are on sale now. Further tour dates and Too Pure Singles Club details TBC.